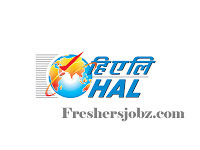 HAL Recruitment 2018.Hindustan Aeronautics Limited HAL has released a notification for the recruitment of Trade Apprentice vacancies.Check the eligiblity and notification prior to apply for the positions. Applications are invited from the Eligible Candidates who have passed ITI, for undergoing Apprenticeship Training under the Apprentice Act 1961, in Hindustan Aeronautics Limited, Avionics Division, Korwa, Amethi. 3. Stipend & Period of Training: Stipend will be paid to the Apprentices as per rule per month or as revised by the Government. The period of Apprenticeship Training will be One Year only.